When it comes to our fatty regions, women are very self-conscious. This means that we will go to any length to hide those dimples and erase any trace of extra weight on our bodies. There are a few ways one can effectively reduce the thigh fat in a shorter time period. We all want that of course, but you have to work at it. There is no single exercise or diet that specifically targets the thigh fat alone but there are changes in your routines that can be made that will ensure those limbs of yours look toned instead of flabby and full of cellulite. So how do you reduce thigh fat? 1. The Benefits of Cardio Exercise: You can reduce thigh fat by going for high impact cardio that really gets your heart pumping and body moving. You have to burn the calories, burn them fast and in large amounts. 60 minutes of cardio 5 times a week will ensure you are as fit as can be in no time at all. Just make sure you are working your legs the whole time. 2. Go for Height: Incline your treadmill or simply go for a jog uphill. You don’t need to run but keep the pace competitive and keep going no matter what. Even if you walk around most of the time, going uphill, you will be working those thigh muscles and toning those legs. You burn more calories on the incline so next time you decide to go anywhere that’s uphill, choose to walk instead, especially if it will take you over 30 minutes. This way you get everything from your thighs to your hamstrings to your calves and buttocks. 3. Go for Yoga and Pilates: You want to spot tone and these practices are the best way to do so. While the cardio will drop your weight, the yoga and Pilates will build up muscle on your inner and outer thighs as so many of the routines are focused on the lower body and the strength in your back. You will thus look leaner, slimmer and fitter. It is definitely worth signing up for. 4. Ensure You Have Your Breakfast: You might want to fast most of the day or decide you are eating only a single meal. Well, if that’s the case then jumpstart your metabolism from early on in the morning and just grab a snack later in the day that’s filling but not a full meal. If you have a better metabolism, you will make sure your legs and body in general is leaner. Eat protein and fibre-filled complex carbs and then go for that morning cardio. You’ll be pumped, your body will work well and your day will go by smooth and nice. You’ll be losing fat and building muscle, while the carbs give you the energy to sustain you throughout the day. Also, don’t skip eating the whole day. If you aren’t feeling hungry, then snack often, keep it under 150 calories and fill up on energy. 5. Drink a Lot of Water: Instead of sodas or any juice you may think you want, go for water. It has absolutely no calories, it will keep you hydrated and the constant peeing will flush your body of a lot of unwanted things. It helps with your weight loss plans and encourages portion control. Honestly, it’s the best thing you can be drinking. Have some milk for calcium if you wish early in the morning with your breakfast so that your metabolism works well, then spend the day drinking water, while you end the evening with a cup or two of tea. 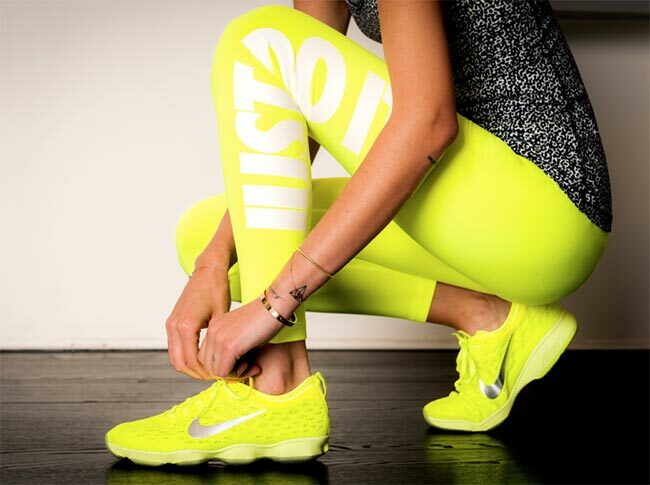 Don’t miss:	The New Trend Of Thigh Gap: An Obsession Or A Fitness Rule?